What is it that we are remembering on Holocaust Remembrance Day? Is is just a day of mourning, or is it a warning as well? I am sure there is not a one of us unaware of slaughter of the seven million innocent Jews and several million other undesirables by the Nazis as part of their Final Solution. But few of us are ever forced beyond the superficial knowledge of those facts. Ms. BWR is one step removed the Holocaust and can tell the stories of her father who escaped it, other of her family and her parent’s friends who survived, and others of the same ilk who did not survive it. Her “remembrance” on this day is without doubt exponentially different from mine and most other people, who only read of the Holocaust in school, seeing the occasional anodyne picture of the horrors. We know intellectually that what happened was evil, but not emotionally — not viscerally. And unfortunately, without something to trigger the visceral emotional response of horror to what happened, it is hard to get to the other purpose, I think, of Holocaust Remembrance Day and that is to recognize the danger of evil and the danger of governments with enough power to effectuate that evil on a grand scale, leaving mountains of bodies in their wake. Holocaust Remembrance Day focuses on that evil in relation to the Jews, perhaps the most persecuted people in history. For much of our history, that is because the Jews made the perfect scapegoats in largely tribal societies — they were a very insular minority that refused to bow down and eschew their religion regardless of the pressure placed upon them. Can anyone doubt that scapegoating such people and using that as justification to carry out murderous pogroms against them was evil. In a sense, Holocaust Remembrance Day should have us contemplating our historic treatment of the Jews, for Hitler’s Final Solution was no or more less evil than the Jew hatred and bloody slaughters of old. Rather the Final Solution was the natural culmination of it all, a horror that Hitler was able to effectuate on an industrial scale simply because of the power his government had accumulated, his disarming of the Jews, and the technology of his era. Certainly one of the things we should recognize on Holocaust Remembrance Day is that the danger for Jews to suffer yet another Holocaust is well imaginable in our lifetimes. Murderous Jew hatred could not be more alive and well amongst many in the Muslim world. Muslim triumphalists want to see all non-Muslim faiths wiped out, but the Jews are and have always been first on their list. The Muslims simply have never had the power to make it happen — yet. Does anyone doubt the truth of the rather dark joke going around, that if you take away all of the guns from all of Muslims in the Middle East, you would see no more war there, but take the guns away from all of the Jews and you would see no more Israel there. And I think there is a secondary lesson from Holocaust Remembrance Day. It is to remember the near certain danger of allowing any government to accumulate so much power that they can disarm the populace and, once disarmed, scapegoat and murder whatever pockets of them are necessary to advance the government’s agenda. 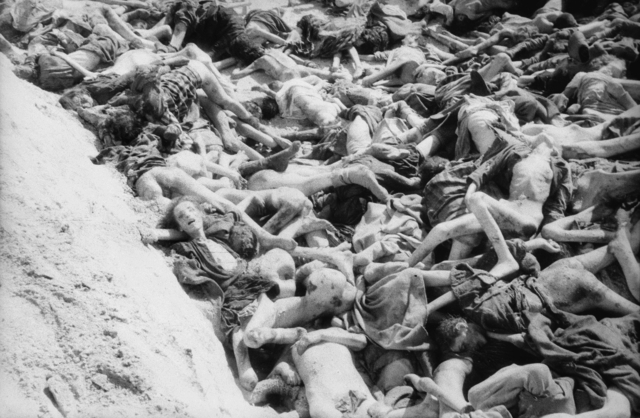 We’ve seen variants on that throughout the 20th century, where the rise of socialism ended in the mass murder of nearly a hundred million innocents. We see it still today in places like Venezuela and Cuba, two of socialism’s last failed vestiges. But now to come full circle. As I wrote above, without something to trigger the visceral horror of what happened with the Holocaust, it is hard for one to fully appreciate the warnings that are part and parcel Holocaust Remembrance Day. I’ve been fortunate enough — or perhaps unfortunate enough, depending on how you look at it — to have had an experience that triggered the visceral horror.